Newsroom Pro brings subscribers fast, useful news from our team at the Parliamentary Press Gallery, led by Managing Editor Bernard Hickey. Newsroom Pro is Newsroom's twin publication - an online subscription news service based in Wellington, reporting on politics, business and the economy from around the Beehive. The Newsroom Pro team is headed by Bernard Hickey and publishes news, analysis, commentary, and information throughout the working day for subscribers to the site. Newsroom Pro's reporters and editors in the Parliamentary Press Gallery include Foreign Affair and Trade Editor Sam Sachdeva, National Affairs Editor Shane Cowlishaw, Sub Editor and Photographer Lynn Grieveson and Reporter Thomas Coughlan. Their analysis and exclusives are published first on Newsroom Pro. Part of the daily offering is Newsroom Pro's 8 things email, an essential roundup from Bernard of what's in the news right now, what's coming up, and where the team may be setting their sights next. Non-subscribers can read up to five articles a month on Newsroom Pro for free. Individual Newsroom Pro subscriptions are available here for NZ$29.00 per month incl GST. Email Bernard Hickey for corporate and group subscriptions, which also include access to Newsroom Pro's 'Raw' service -- a email-based targeted news release and information service aimed at corporate relations, public relations, public affairs and business development specialists. In today's email we included Rod Oram's analysis of Fonterra's Beingmate problems, Thomas Coughlan's indepth piece on New Zealand's looming carbon credits bill, Shane Cowlishaw's look at key teacher pay negotiations and my selection of the best long reads for the weekend. Rod Oram delves behind the scenes of Fonterra's Beingmate debacle in this week's column. He finds the board will have to make a momentous decision that has parallels with Fletcher Building's eventual removal of its CEO and Chairman. Fonterra must decide before March 21 how much of its $1 billion Beingmate investment needs to be written down, or whether it should be written off completely and binned. Either way, Theo Spierings and John Wilson face an uncertain future. Writedowns of similar scale cost Mark Adamson and Ralph Norris their jobs at Fletcher Building. Rod essentially paints a picture of a series of corporate governance failures in China by Fonterra. We'll know what value Fonterra puts on its Beingmate investment when the co-op reports its half-year results on March 21. To reassure farmer-shareholders and investors in its NZ- listed shareholders' fund that it has a realistic view on Beingmate, Fonterra will have to use a valuation methodology that is credible to them, come up with a plausible revaluation and give a detailed explanation of why and how the co-op believes it can achieve it. There's no doubt that Fonterra will once again write-down the value of its Beingmate investment, and by much more than its first impairment of only $35m which it made with its year-end results last September. The question is how much, and what will the consequences be? See Rod's column in full on Newsroom Pro. Meanwhile, the FT's Jamie Smyth in Sydney and Tom Hancock in Shanghai have also done an in-depth report on Fonterra's problems with Beingmate. The article quotes former Fonterra Directors Colin Armer and Leonie Guiney, although not specifically on any board discussions covered by an injunction obtained by Fonterra. “What we need to do is write the thing [Beingmate] off and move on and really question our investment culture," Guiney was quoted as saying. “The question farmers are asking is, why Fonterra didn’t learn any lessons about owning a minority stake in a Chinese business after Sanlu? Did we not learn how difficult it is to actually have influence on a partnership in China? And we went and did the same thing again." 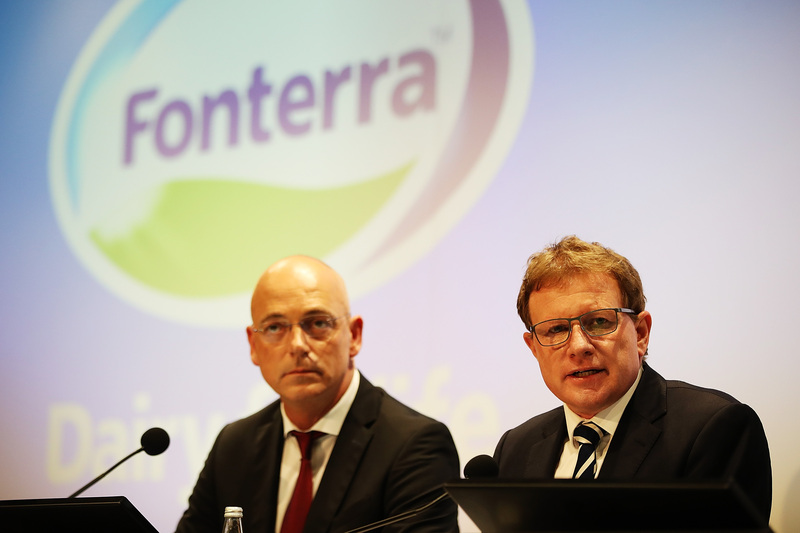 It's clear Fonterra shareholders face a tough question: should they remove their CEO and Chairman? 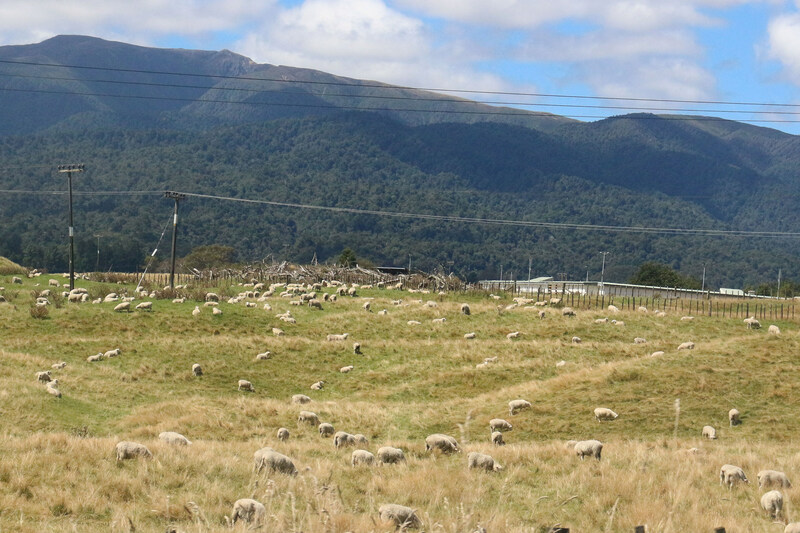 Newsroom's Thomas Coughlan has taken a deep dive into the economic risk New Zealand faces if it can't get on top of its greenhouse gas emissions trajectory and can't start planting lots of trees. In its briefing to the incoming Minister for Climate Change, James Shaw, the Ministry for the Environment estimated that New Zealand will see between $14-36 billion shaved off its growth forecasts between 2021 and 2030. He reports the figure is more than double the estimate given to Judith Collins when she became Minister of Energy in December 2016. That briefing estimated the cost at $14.2 billion, but it left off the more drastic model, which projected a much higher cost of $36 billion. To put that in perspective, Treasury has estimated the total cost of rebuilding Christchurch to be $40 billion. See Thomas' full report here on Newsroom Pro. 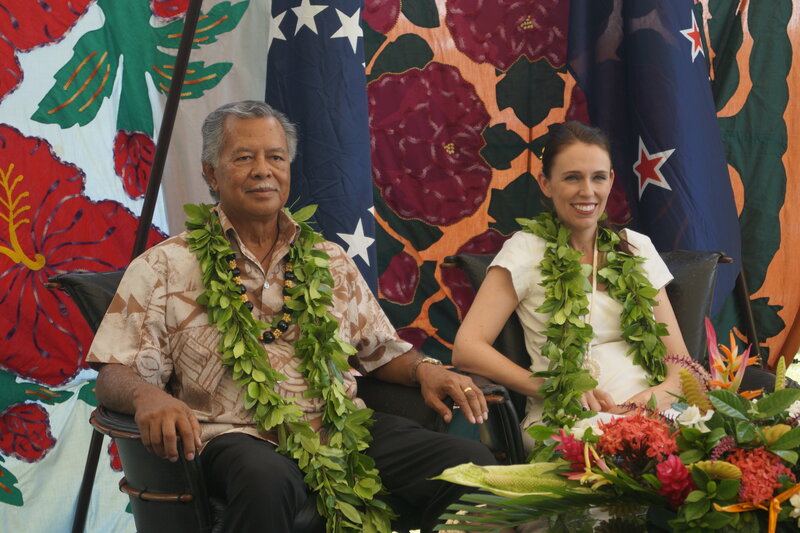 Newsroom's Sam Sachdeva is nearing the end of the tour of the South Pacific led by Jacinda Ardern and has landed in a relative oasis of economic stability and growth. He reports Cook Islands is one of the Pacific's success stories - but that success comes with its own challenges. An MFAT-commissioned report offered praise for the Cook Islands in 2016, saying it had "strong ownership of its development agenda" and was the least economically dependent of the three realm countries. 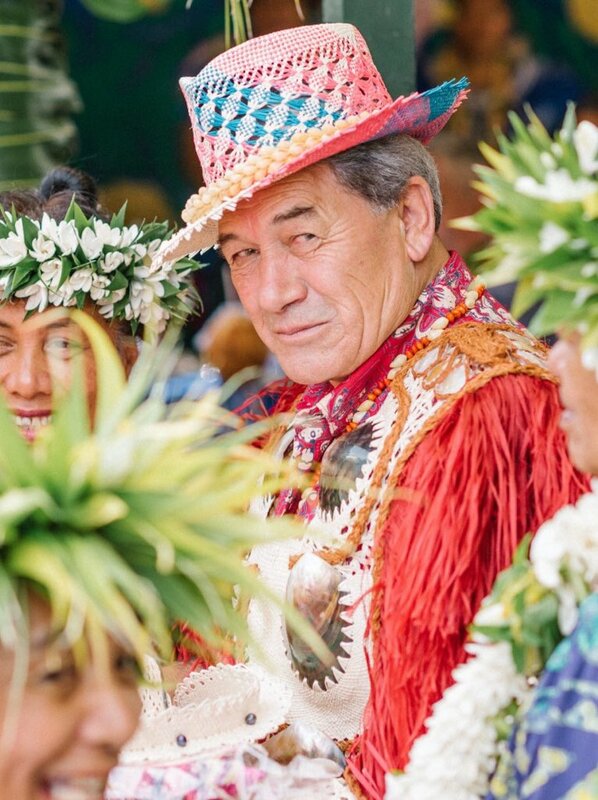 The country was the highest-performing small island state in the Pacific from an economic and human development perspective, the report said, with a GDP per capita of nearly $20,000 - "the third-highest in the region outside Australia and New Zealand". A large part of that success is due to the country's booming tourism sector. However, that strong economic performance brings a financial cost of its own. The OECD is set to "graduate" the Cook Islands' status from a developing country to a developed one by the end of the year. That reclassification could make the country ineligible for financial support through the OECD's development assistance committee, which provided the Cook Islands with US$51 million in funding for the 2017/18 financial year. Sam reports in full and in detail here on Newsroom Pro. One of the things to watch in and around the political economy in the next year will be how much the pay deals with teachers, nurses and police will cost, given the public sector unions are the strongest in the country and they have many years of low pay increases to make up for under the previous Government. Newsroom's National Issues reporter Shane Cowlishaw reports primary teachers and principals could barely contain their anger and excitement yesterday as their union launched a campaign seeking a $300 million annual pay rise. “We bleed them,” NZEI president Lynda Stuart seethes to a crowd of boisterous members. It’s emotive language from the union boss, whose organisation represents teachers and principals across the primary and early education sector. 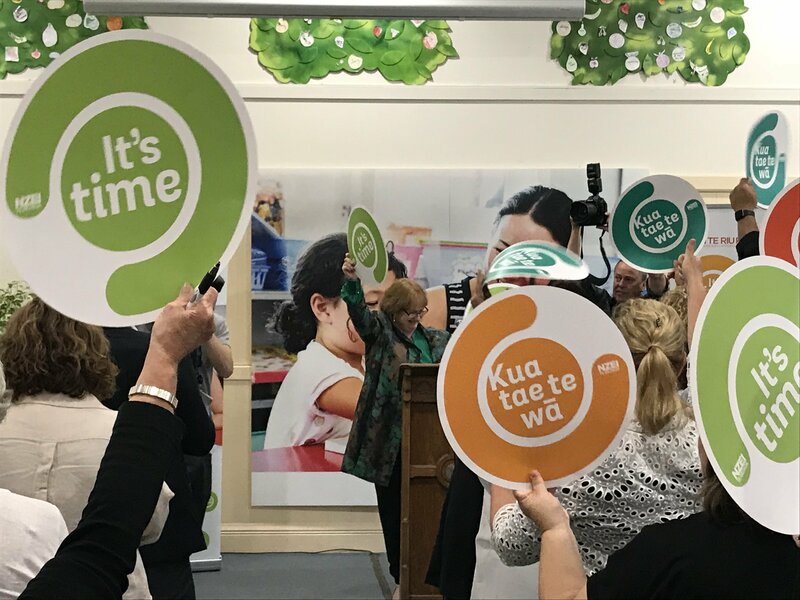 In the wake of a cascade of headlines about teacher shortages, NZEI launched its bargaining campaign on Thursday as it prepares for negotiations with the Government. See Shane's full report here on Newsroom Pro. 5. Sugar tax: inevitable or unfair? Newsroom makes a special effort to cover public health issues and ensure a deep and analytical debate on issues such as whether a sugar tax is a good idea. Newsroom's Gallery health reporter Thomas Coughlan has previously written on the cases for and against a sugar tax, particularly around the economic justifications. Now Newsroom's Auckland social issues reporter Teuila Fuatai has taken a look at the debate inside Auckland University between those who see it as inevitable and those who think it's unfair on poor people in particular. The debate has a more ethical flavour. See Teuila's full report here on Newsroom. One of the key clashes being played out in the global political economy at the moment is what will happen with rollout of 5G networks. China's Huawei wants to roll out its networks all around the world, but America, Australia and others are reluctant to let a firm closely connected to China Inc own the network for rivers of data in the future. The New York Times has written a nice summary of the issue. One of the two biggest events in the last two weeks was Xi Jingping's move to make himself President-for-life in China. Here's the always excellent Chris Buckley from the New York Times on how 'Emperor' Xi made the move. The other big news was Donald Trump's tariff shock. This piece from Ruchir Sharma is an insightful and sober look at the possible outcomes. This Washington Post piece on the bizarre fashion in Silicon Valley of keeping your own chickens says quite a lot about the strange world we live in. Emile Donovan from RNZ's Insight team has done an excellent report on why 80,000 young New Zealanders can't get or keep a job in the midst of a construction boom. And finally, here's a must-read piece from the New York Times' Tech columnist Farhad Manjoo on his two-month experiment where he only got his news from newspapers. It's a fascinating way of understanding the problem of how so much online news is useless, confusing, inaccurate and painful fluff. He writes that there is an awful lot of value in relying on professional journalists to sort out the signal from the noise and taking the time to get it right. We here at Newsroom aim to produce that sort of tasty high-protein news and analysis that is so hard to get in a world of sugar-filled click-bait and 'breaking news' headlines about C-list celebrities 'slamming' each other on twitter. We're more of a restaurant with great food, stimulating conversation and a relaxed atmosphere. We're steering away from junk food sold in fast food joints. But we can have a tiny bit of fun. This from 'b' on Twitter with the following pic made me laugh out loud. "Coming for your man like"
No Right Turn: Another failure of "collaboration"
Donal Curtin (Economics NZ): Unintended consequences? Rachel Thomas (Stuff): The sugar fix: Is it right to target sugary drinks?